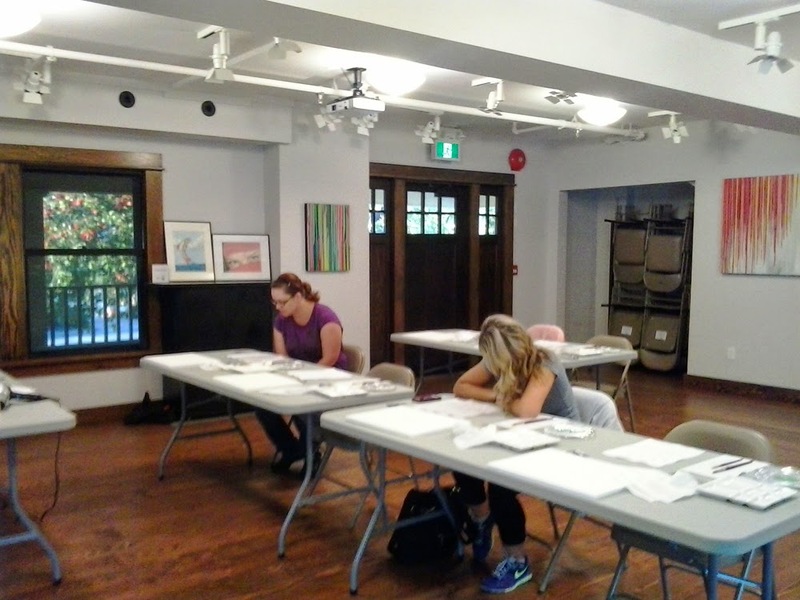 All set up for the first session of Absolute Beginner Watercolor classes in the beautiful Appleyard Parlour at Port Moody Arts Center. We are the first class to be held in the new space and was so nice. The lighting is fully adjustable so each student has a "spotlight" on their work and there is tons of room to spread out. 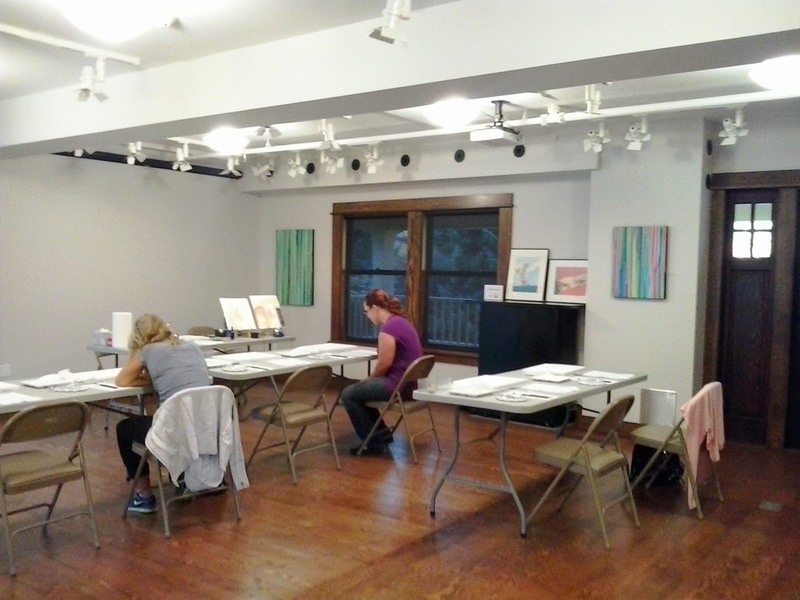 I really had a lot of fun last night and always enjoy sharing my obsession, I mean passion, for art with new students. Now I have a dilemma, I have my Acrylic Abstraction classes starting on September 16th and need to decide, do I stay in this beautiful room or "break in" another new room....hmm. There are still spots available at for the Acrylic classes the Port Moody Arts Center or call 604-931-2008 if you would like to join me. We will create several paintings using a variety of surfaces and different techniques to create interesting effects using acrylic washes, glazes, texture and layering. This class will be a fun exploration for beginners and more experienced students.